We are forever hearing of new drugs being developed to treat the chronic inflammatory skin condition psoriasis. Birmingham based BioCryst Pharmaceuticals Inc has successfully completed phase 1 trials of its new psoriasis drug BCX-4208 and plans to start the second phase later this year. The first phase, a single oral dose, was well tolerated among participants when safety guidelines were strictly enforced. The drug is intended to block key enzymes involved in autoimmune diseases where T-cell activation is involved. 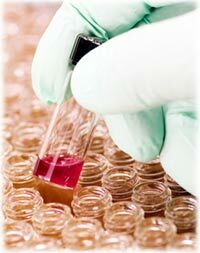 BioCryst intends to investigate the potential of BCX-4208 for the treatment of other autoimmune conditions like rheumatoid arthritis, Crohns disease as well as organ transplant rejection. “The results from our first trial are very encouraging, and we are committed to the development of BCX-4208 for the treatment of psoriasis and other T-cell medicated conditions where an oral therapy offers clear advantages and might greatly improve patient quality of life,” Dr. Charles E. Bugg, BioCryst’s chairman and chief executive, said in a written statement.